You will earn 1,497 Reward Points. Earn 1 reward point for every 1 dollar spent. 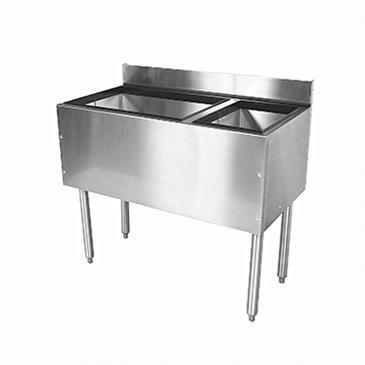 Combo Ice Bins combine separate draining ice bin and bottle well compartments into one integral unit. The fully insulated 12ʺ bottle well may be located on the left, right, or both sides of the ice bin.